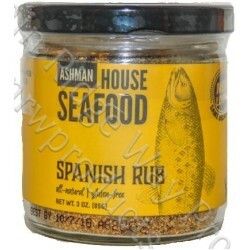 Great on salmon, tuna, striped bass, grouper, and scallops! Also try it on chicken and pork! A wonderful combination of cumin, coriander, chili pepper, garlic and more. Very versatile! 3 oz nt wt Jar. Gluten Free.